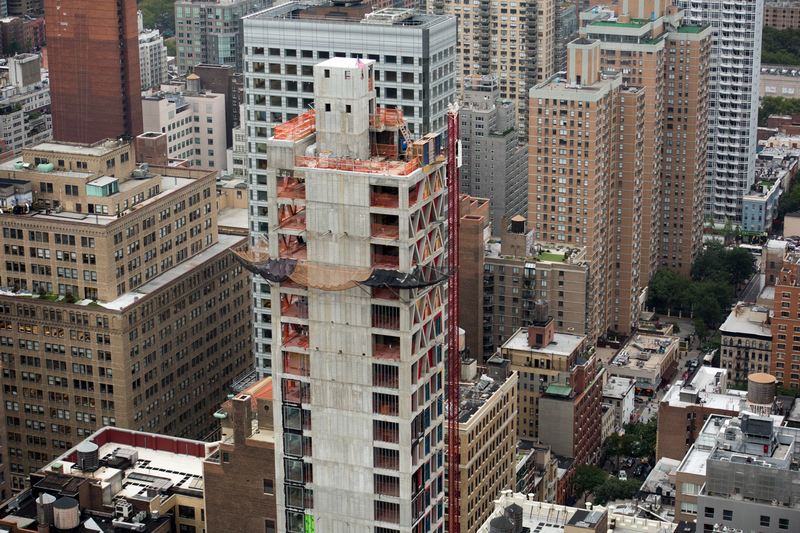 Construction of the 40-story tall and diagrid-tipped 30 East 31st Street has finally topped out in NoMad. It is now showing off its unique crisscross exterior influenced by surrounding Gothic architecture from the 1920’s and ‘30s. Morris Adjmi Architects is responsible of the design. Along with topping out, glass installation is nearing the peak. Installation of the metal paneling has not yet started. 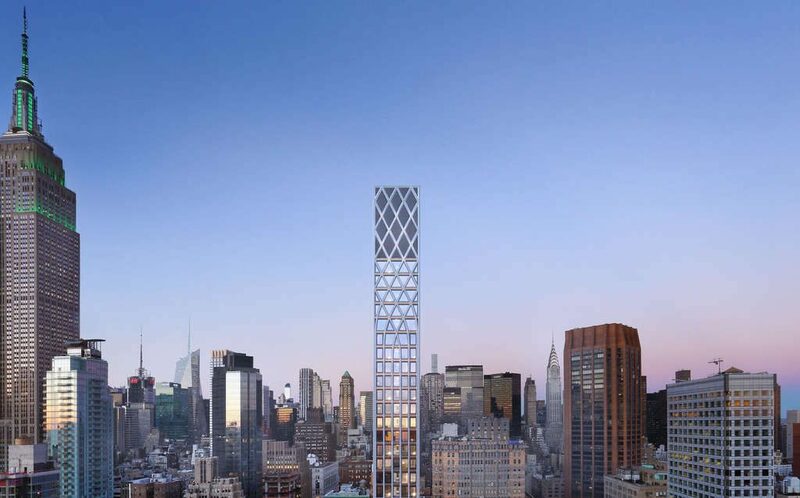 The 479-foot tall structure will yield 88,000 square feet, with 70,070 square feet dedicated to residential use, and 1,600 square feet for ground floor retail. 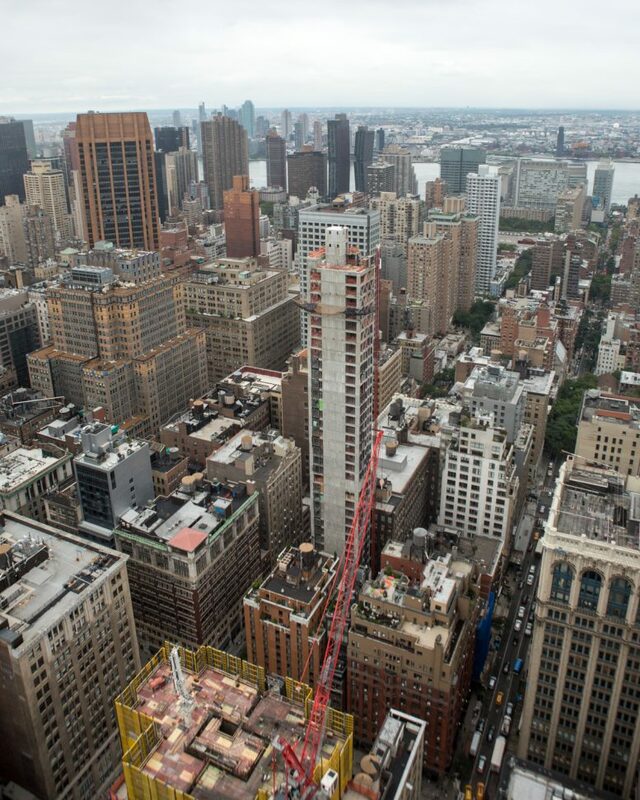 42 condominiums will be included, averaging 1,700 square feet apiece. Residential amenities will be included on the ground, second, and cellar levels. The lobby will include a curated artwork display. Ekstein Development and Pinnacle Real Estate are responsible for the project. Sales launched one year ago, with prices ranging from $1.65 to $12 million. Douglas Elliman Development Marketing is responsible for the sales. 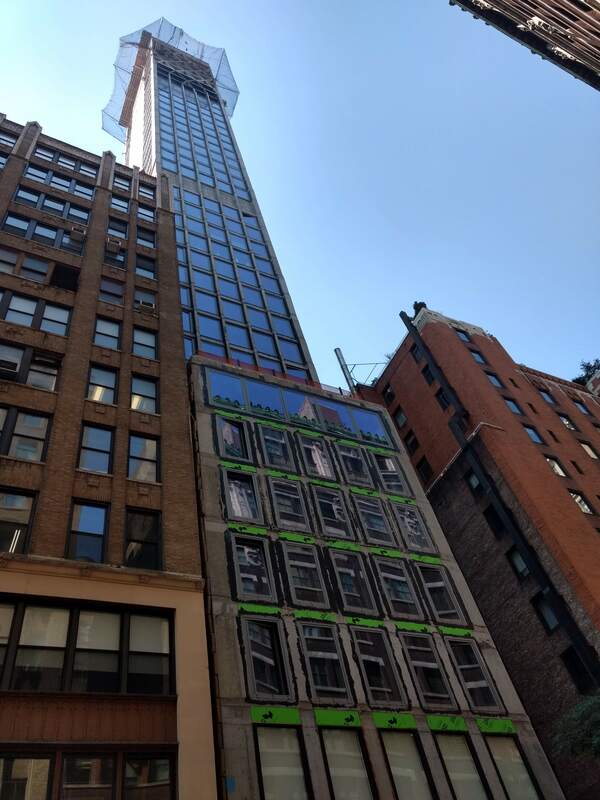 1 Comment on "Morris Adjmi-Designed 30 East 31st Street Reaches 479′ Pinnacle in NoMad, Manhattan"
Please pardon me for using your space: Wearing its work on the structure tower. Dress on its design perfect and continues now.